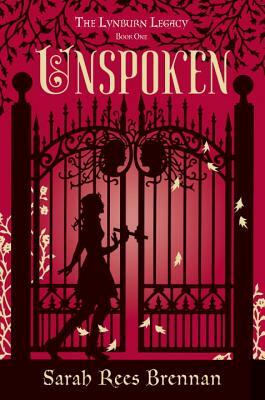 A modern, magical twist on the Gothic Romance and Girl Detective genres, this book will appeal to fans of both "Beautiful Creatures" and the "Mortal Instruments" series. Reviewers have praised the take-charge heroine and the spellbinding romance. Kami Glass is in love with someone she's never met a boy she's talked to in her head since she was born. This has made her an outsider in the sleepy English town of Sorry-in-the-Vale, but she has learned ways to turn that to her advantage. Her life seems to be in order, until disturbing events begin to occur. There has been screaming in the woods and the manor overlooking the town has lit up for the first time in 10 years. . . . The Lynburn family, who ruled the town a generation ago and who all left without warning, have returned. Now Kami can see that the town she has known and loved all her life is hiding a multitude of secrets and a murderer. The key to it all just might be the boy in her head. The boy she thought was imaginary is real, and definitely and deliciously dangerous. "Captures the reader with true magic." --Esther Friesner, author of "Nobody's Princess"
"A laugh-out-loud delight." --"Publishers Weekly"